Barnsbury N1 area? Keys Lost? Keys Stolen? Need our Barnsbury N1 Lock Replacement Service? Then your local Number "ONE" North London Locksmiths Islington N1 Lock Change Service is for you. Doesn't it make sense to use an established Locksmith Company, when undertaking your Home Security? You have reached the page of The Number "ONE North London Locksmiths Ltd. Moved into a new home? Had your Keys Stolen? Lost your Keys? Do you know how important it is to change your locks, if the above has occurred? Click on this line to take you to a Direct Line Insurance Survey. Reading this page from your mobile telephone and need our Barnsbury N1 Lock Replacement Service? Our 24 Hour Locksmith Service is available to do a Lock Change for you anytime day or night at a fair and reasonable price. You are looked after with our Islington Lock Change service, by North London Locksmiths Ltd.
Our Keys Locks Padlocks WEB Shop offers locks at discounted prices. 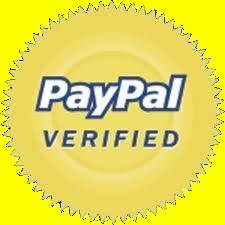 With North London Locksmiths Ltd. you are guaranteed to get a fair deal. As well as a NO QUIBBLE guarantee on any new locks fitted. Our London Number "ONE" Locksmiths as well as offering a full Barnsbury N1 Lock Replacement Lock Service and 24 HOUR LOCKSMITH SERVICE will also open and replace UPVC Door Locks as well as changing them. You will not be charged silly prices for our replacement upvc locks, we charge a fair price, as we do for all our own services, also remember!! 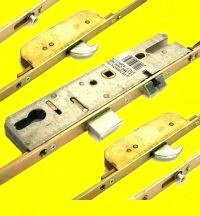 We offer a full guarantee on new locks fitted. The 24 HOUR Emergency Locksmith Service of North London Locksmiths Ltd. offer a 25 to 50 minute response time, from the time at calling our office the time of arrival. If we cannot make this time scale, we will advice you first. About our Company, North London Locksmiths Ltd.
79 Grand Parade, Green Lanes, N4 1DX. We are a registered Locksmith Company and are Company Members of the Master Locksmith Association, who are recognised by Police forces and Insurance Companies, all over the U.K. and beyond. Any new Lock Fitting or Lock Change, undertaken by our Company, has our full guarantee. It makes sense to use a Company who has a shop base address and is registered as well as being established, when undertaking any form of HOME SECURITY work. We stock a vast range of locks by various manufacturers for any Lock Change which we undertake. The Number "ONE" Barnsbury N1 Lock Replacement Service by North London Locksmith. Besides the Barnsbury N1 Replacement Lock Service of North London Locksmith. we also have a first class Carpenter Service for the fitting of all types of locks as well as a Frame Repair Service, for when those unwanted visitors kick the doors in, damaging your frame, or for any other reason. They also undertake an Islington Door Fitting Service to replace a door if it has been damaged, or just to enhance your Homes appearance. Our Carpenters are fully qualified in the fitting of all types of doors as well as skilled in the art of fitting locks of all description, whether security locks or interior door locks.